We are located in the Washington Crossing business complex, near Washington Blvd near E. Roseville Parkway. Our address is 8292 Industrial Avenue but, since we sit way back in the industrial complex, we can’t be seen on Industrial Ave. 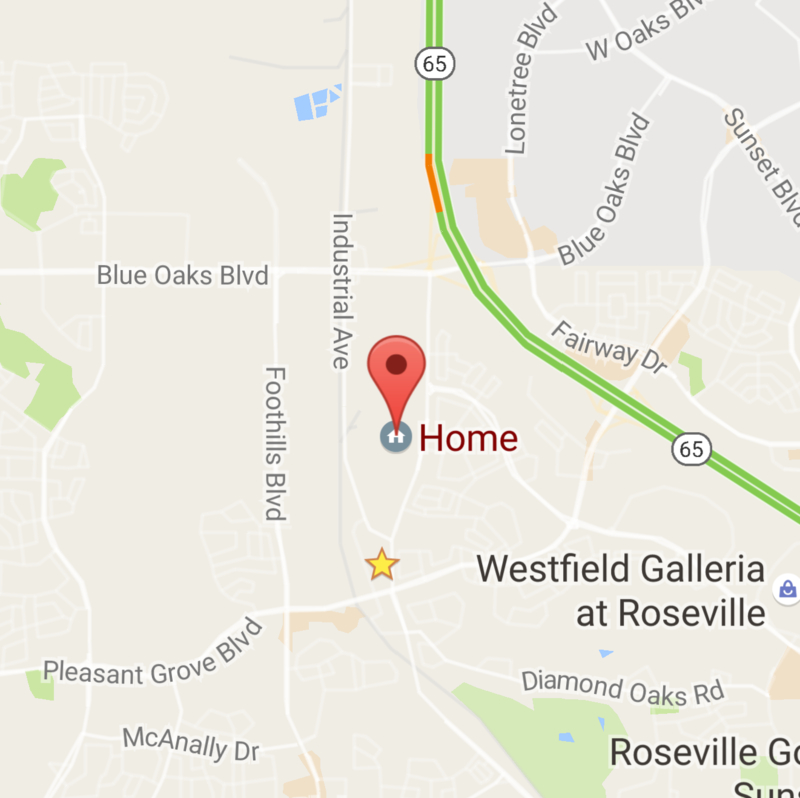 It is easiest to reach us by coming directly off Washington, between Pleasant Grove and E. Roseville Pkwy. Washington runs parallel to Industrial as you can see on the map below. You’ll see the Washington Crossing monument signs with a vacant lot in front. Looking just beyond the vacant lot, you should be able to see a large building with our very large ReStore sign on it. If using a gps enter the address of 8413 Washington Blvd, Roseville and it will take you right to our parking lot. Other tips: If you are in the casino area, travel south on Industrial until you reach the 8200 addresses. Approaching the 8200 addresses from either direction on Industrial Ave, you will see ReStore on the Washington Crossing monument signs. Enter the business complex there but continue on past all the businesses as we are on the very end, the east end, of the large warehouse building. Feel free to call 916-797-8673 to get help with directions.